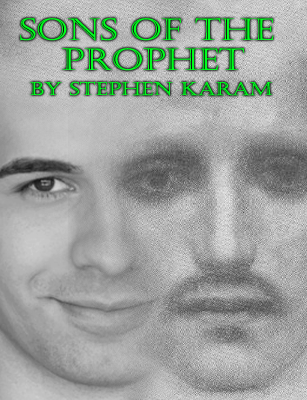 GableStage opened its production of Sons of the Prophet on September 21, 2013. One of the best-reviewed plays of the 2011 New York season. A refreshingly honest take on how we cope with wounds that just won't heal, and the funniest play about human suffering you're likely to see. A marvelous meditation on the responsibilities we bear for the people we love, for those we don't and for society as a whole. Joseph Adler directed a cast that included Michael Focas, Carol Caselle, Patti Gardner, Edson Jean, Michael Kushner, George Schiavone, Barbara Sloan, and Jose Urbino. In an impactfully directed, superbly acted new production at GableStage, the laugh-laced drama is also touchingly insightful and resonant in that way that transcends the specifics of its story. That Sons of the Prophet made the Pulitzer shortlist isn’t surprising, given the richness of Karam’s writing. Staged with minute attention to timing and detail by Joseph Adler, the play centers on the Douaihy family, Lebanese-Americans living in down-on-its-luck Nazareth, Pa.
Joseph is the play’s pivotal character and, thanks to an unerring and moving performance by Focas, its heart. Worried, overburdened and in pain, Joseph keeps his diminishing family together, and Focas achieves both a breezy brotherly connection with Kushner and a respectful yet frustrated one with Schavione as Joseph’s problematic elder. The attraction -- intellectual, emotional and physical -- between Focas’ controlled Joseph and Urbino’s slick reporter, is both convincing and hot. From one and all, including Carol Caselle and Barbara Sloan in multiple small roles, the acting abundantly serves the play, as do Lyle Baskin’s sets, Jeff Quinn’s lighting, Matt Corey’s sound design and Estela Vrancovich’s costumes. Once again, GableStage’s Producing Artistic Director Joseph Adler provides a textbook in invisible direction and sure pacing. Michael Focas creates an intriguing linchpin out of Joseph. His protagonist wants nothing more than to be left alone... Focas, who played the troubled hero of last season’s 4000 Miles, once again makes the audience root for a character who is not especially lovable. Uncle Bill is almost a caricature as written on the page, but George Schiavone makes him a believable three-dimensional scruffy curmudgeon we all recognize from our own family get-togethers. Gardner’s urbanite Gloria is someone completely at sea in this blue collar exile, but she’s cheerfully trying to find new landmarks to navigate by. Like Focas and Schiavone, Gardner expertly finds offbeat ways to phrase her lines so they are both hilarious and truthful. Michael Kushner initially seems way over the top as the overtly gay brother... But once you accept that’s Karam’s choice, Kushner creates the only somewhat sane and adjusted character in the play. Sons of the Prophet is receiving a cool, sophisticated, and seemingly flawless southeastern premiere at GableStage, where it epitomizes the brand of comically potent domestic drama the theater has focused on this season. Much of the effectiveness is due to Focas' comfort in the role; he wears it like his own skin — if his own skin were in nearly constant pain. In the five months since 4000 Miles, Focas' acting has blossomed in some beautiful directions, offering an elegant, understated performance rich in nuance and gesture. Gardner is every bit his onstage equal... Gardner's three-dimensional performance taps into her character's chronic depression, channeling the anguish and delusions as well as the humor. GableStage's sets are usually technical triumphs, but few creep up on you as much as Lyle Baskin's do here... the scenic design is a lot like Sons of the Prophet itself: a multifaceted structure teeming with surprises. This is a play that looks at human suffering with a wit so effective it might be therapeutic. Expect to laugh when you least expect it. Sons of the Prophet plays at GableStage through October 20, 2013.